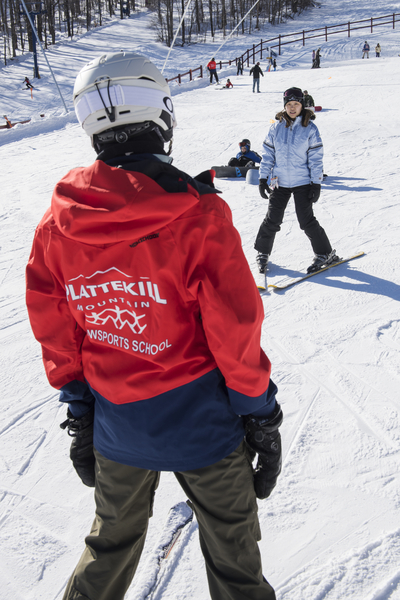 Private and Semi-Private lessons offer great one-on-one attention with instructor and student and are available for all ages and levels of ability in both skiing and snowboarding. Lessons are available hourly, 9am-3pm. Get a private group lesson for just you and your exclusive family or friends with our “Rent An Instructor” Program. 2-hour and 4-hour program options are available and taught by the same instructor if 4-hour is selected. Advance reservations are highly recommended. Available in both skiing and snowboarding. * Please note: to get the most benefit from this type of lesson, it is recommended that everyone in your group taking this class be close in ability level. Lessons are available from 10am-12pm and/or 1pm-3pm. This 1 hour group lesson is for those who have taken lessons before and would like guidance down our beginner terrain from the top of the mountain. 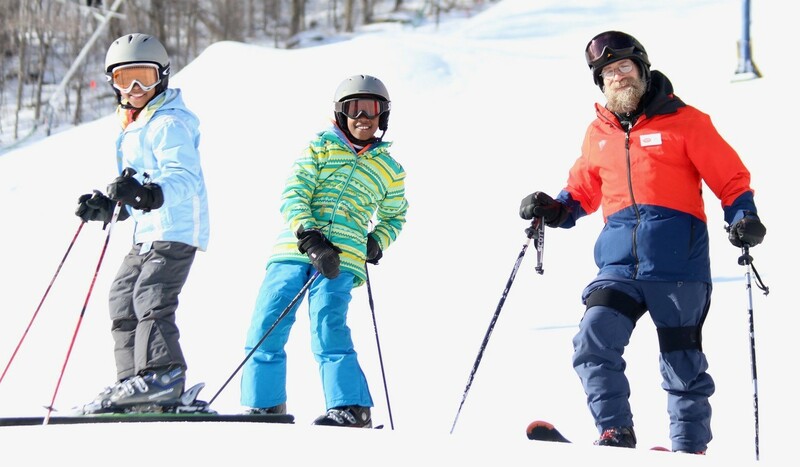 Whether you just mastered a Learn to Ski or Snowboard class, or it’s been a while since you’ve been on snow and you need a little assistance, this lesson is for you! Available in both skiing and snowboarding.